I must admit that before I visited the Tuol Sleng Genocide Museum, I had no idea that there had been a genocide in Cambodia. Knowing what I know now, I find that disgraceful. I’d like to blame my schooling and cultural upbringing for sheltering me from this world-scale bit of history, but I’m not sure that I rightfully can. It is possible, after all, that I’m the only one who grew up without hearing the tales of the Khmer Rouge. Maybe you could weigh in with a comment when you’re done reading this, and help me figure that out. It’d be interesting to know if I’m with the majority in this or just disgracefully inattentive. 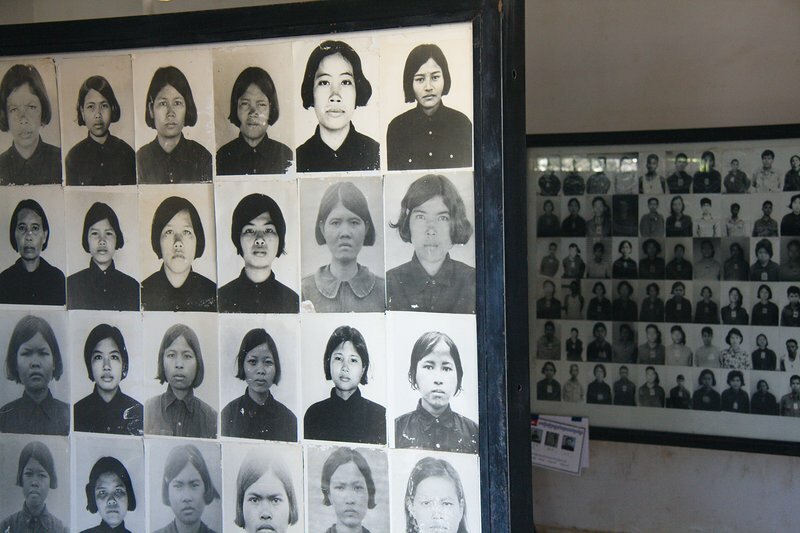 As mentioned, this was my first introduction to the Khmer Rouge’s genocide. For the benefit of those, like me, who didn’t grow up hearing all about the Khmer Rouge, here’s a brief outline of what went on. It’s missing lots of detail, but it gets the general gist across. During the Vietnam war, the prince of Cambodia had allowed a large North Vietnamese military presence into the country. This resulted in the wide scale bombing of Cambodia by the Americans, trying to disrupt Vietnamese supply lines. In 1970, Lon Nol, the Cambodian pro-American minister of defence staged a coup and ousted the left-leaning prince from power. From 1970-1975, Lon Nol cracked down against the communist parties and peoples living inside Cambodia. He massacred around 30,000 Vietnamese living within Cambodia. Meanwhile, the ousted prince allied himself with the communist/rural Khmer Rouge and made pleas to the people to join with them and resist Lon Nol’s oppressive rule. In 1975 the Khmer Rouge gained control of Cambodia. The monetary system and private property were completely abolished. Naturally, there was a lot of opposition to the Khmer Rouge’s rule, and they were paranoid of an uprising against them. To suppress the opposition, they began massacring anyone who they thought may oppose them. This list of unfortunates included anyone who was educated (teachers, doctors, nurses, engineers, people who wore glasses, artists), and those who had previously lived in cities. Even though the cities were abandoned, and virtually everyone was working long days on rice plantations, the reign of the Khmer Rouge was marked with famine and starvation. In an effort by the government to increase revenues, rice exports were kept at unsustainably high levels leaving their own people with nothing more than a few bowls of thin rice porridge to compensate them for working full days in the fields. In 1978, the Vietnamese army marched into Cambodia and liberated them from the Khmer Rouge. At this time, torture prisons such as Tuol Sleng were discovered, along with fields filled with mass graves. 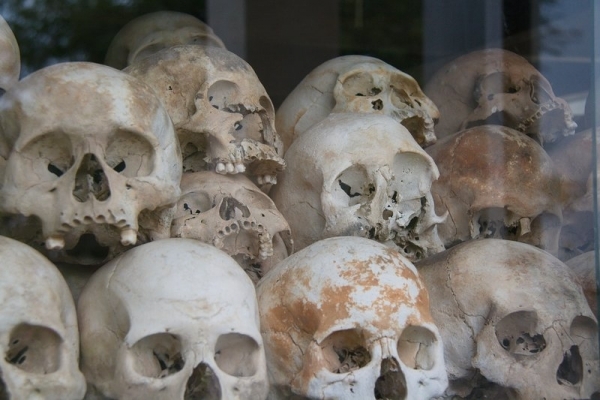 During the Khmer Rouge’s 4 year reign, the population of Cambodia had decreased from 8 million people to 5 million. Nearly 40% of the population died during those 4 years. Astonishingly, western powers, through the United Nations, backed the defeated Pol Pot and the Khmer rouge as the legitimate government of Cambodia after the Vietnamese overthrew them. This was more related to the fact that the Vietnamese had been the liberators, and the west could not accept any Cambodian government that was supported by the Vietnamese. The result of this decision saw Pol Pot receive the U.N. chair for Cambodia and all the aid that went along with that until 1992. The Khmer insurgency dragged on until 1996 when the majority of remaining Khmer soldiers abandoned the party because of a division in party leadership. The remaining party leaders were captured by 1998, and trials began in 2007. Over the Khmer Rouge’s 4 year reign, they became increasingly paranoid. They accused anyone they suspected of plotting against them, and sent them to torture prisons like S-21. S-21 has been largely left the way it was found by the Vietnamese. Photos of the dead bodies they discovered are hanging on the walls of the still furnished torture chambers. You can freely explore the prisoners’ cells. 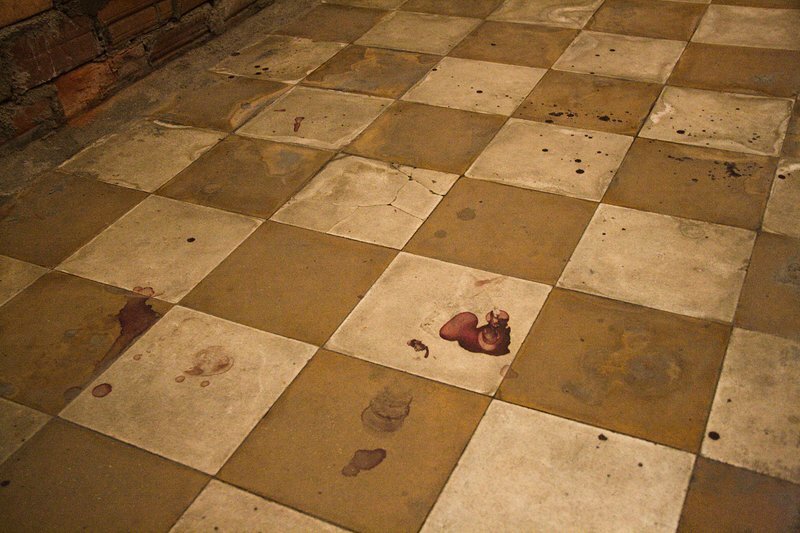 You’ll still see blood stains on the ceilings, walls, and floors. There’s a wealth of information available, including a selection of interrogation documents from the more than 10,000 inmates who resided in this torture facility for 2 to 7 months before being sent to the killing fields. The interrogation records seem to indicate that the inmates were tortured until they confessed to whatever manner of crimes they were accused of (usually involving the CIA or KGB) and they had named their accomplices. My understanding is that anyone accused and their entire family were imprisoned and subjected to this forced confession before being sent over to the killing fields. Nobody was ever released as innocent from this prison. 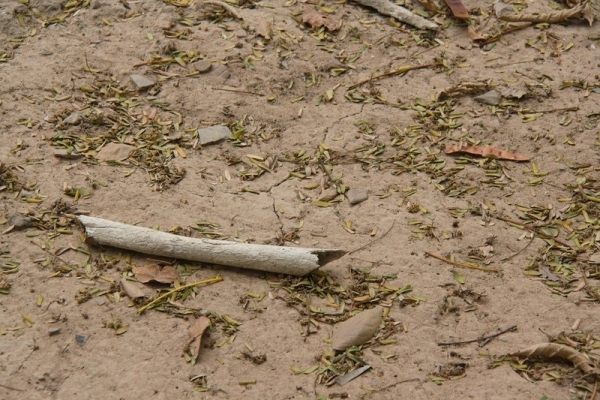 If you are planning on visiting the killing fields, make a stop here first to get the back story. This is where life ended for 20,000 Cambodians. You can still see bits of bone, teeth, and clothing that are brought to the surface every time it rains. There is an excellent audio tour included with admission, and a small museum where you can see some of the implements used in the executions. 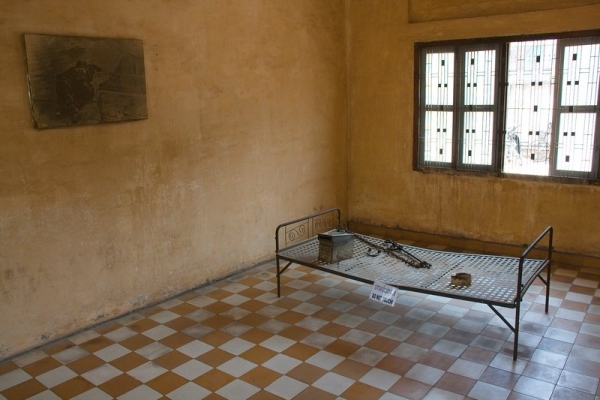 We visited Tuol Sleng Museum one day and the Killing Fields the next. While many people combine both into a single day (which is definitely possible time-wise), we were so heartsick and emotionally shattered from Tuol Sleng that we needed some to process in between. Tourists always love to visit beaches and pretty things, but it’s important to visit sites like these to help understand the historical events that have taken place. 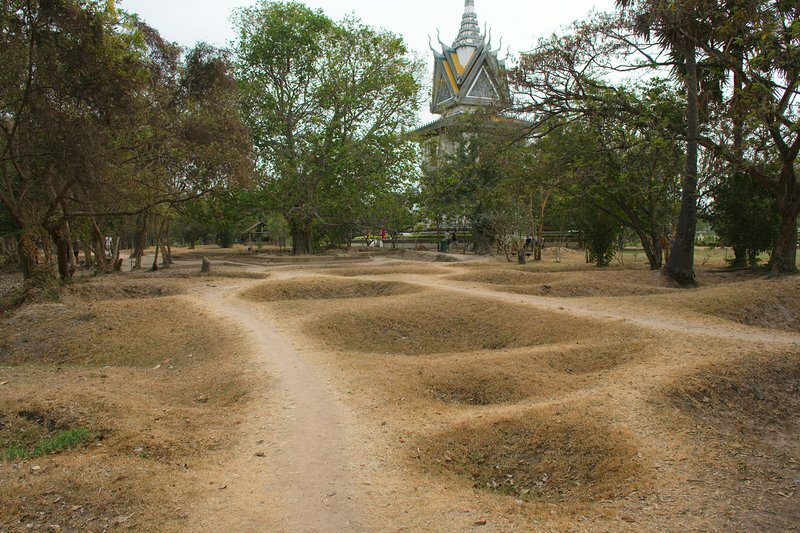 Astonishingly, our hostel offered a tour that took you to the Killing Fields in the morning and a shooting range in the afternoon – where you can fire weapons left over from the war (things like bazookas, assault rifles, and rocket launchers). This seemed way too sick and twisted to me – I can’t imagine ever seeing the sites and hearing the stories of the killing fields and then wanting to go shoot stuff. Thank you for sharing that. I can tell you that I have been in dozens of history course and never heard the tragic details you described. That is so sad. Um….. It’s Lon Nol, the defense minister not Loi Noi or whatever you call him. Yikes, thanks for the correction.